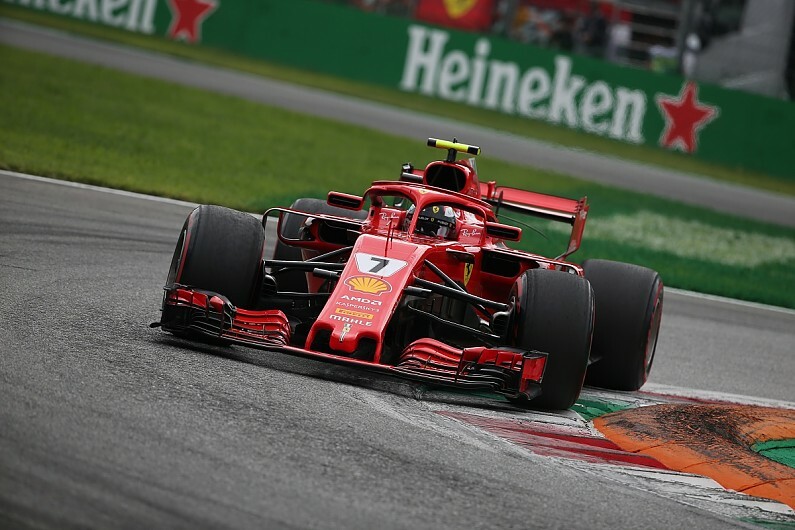 Kimi Raikkonen only started talks about returning to the Sauber Formula 1 team after learning he would lose his Ferrari drive during the previous grand prix weekend at Monza. The 2007 world champion's second spell at Ferrari will end this year as the Italian team has opted to replace him with rising star Charles Leclerc for 2019. Raikkonen, 38, will extend his F1 career by taking Leclerc's place at Sauber, which gave him his grand prix debut in 2001, and has revealed those talks only began at the Italian Grand Prix. "I knew, and obviously I know people there from the past and basically it started after that," said Raikkonen. "I don't think it has always been there [the desire to return]. "Obviously you never know here what will happen. "I wouldn't say there are plans for a long time that this is going to happen." Raikkonen would not elaborate on his reasons for heading back to the Swiss team, rebuffing multiple requests for an explanation regarding the decision. He initially said "I don't know what else you want to know" in his first answer to a question about the move, and replied "Why not?" when asked why he chose Sauber. Then, after being asked about Sauber's performance relative to Ferrari, Raikkonen was pressed on what he has been told about its plans to improve its competitiveness and why he wants to go back. He said: "Because I want to go. Why do you try to make it so complicated? "I don't know anything more than you guys [beyond] purely where they have been finishing. I don't know what will happen, nobody knows what will happen next year. "I don't care about what others think. As long as I am happy with my own reasons, it is enough for me." When asked if his passion for racing remains, Raikkonen joked: "No. I am fired [up] by pure head games for you guys." It has been rumoured that Raikkonen will join Sauber and make some kind of non-driver investment. But Raikkonen said there had been "zero discussion" over a management role. "I signed my contract as a driver and I hope I stay there as a driver," he said. "Who knows what happens in the future or two years. There is always speculation, but I don't have any contract about that." Raikkonen has started 284 grands prix, winning 20 of them and securing 100 podium finishes. If he continues racing to the end of the 2020 season he will break Rubens Barrichello's record for the most GP starts. When asked by Autosport what F1 gives him, Raikkonen said: "Racing. That is about it. It is the best time of the weekend. "Honestly, I always said I will stop when I feel it is right for me. I don't need to come if I don't feel [that]. "The racing is the part I enjoy the most, that is why we are here."